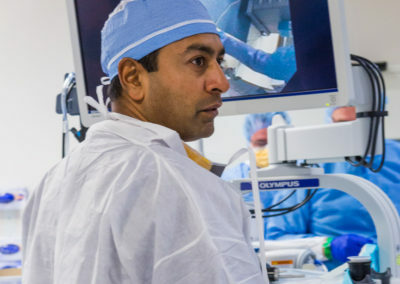 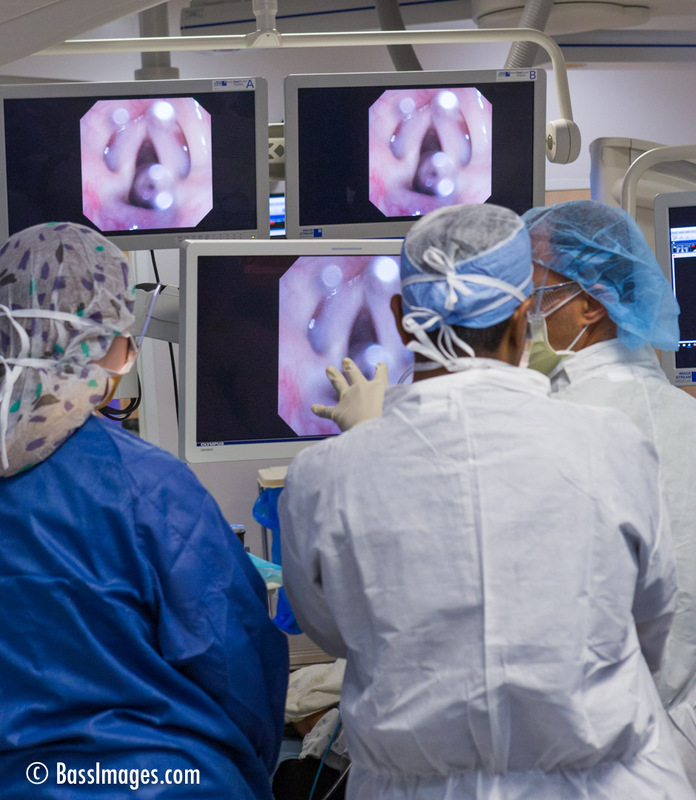 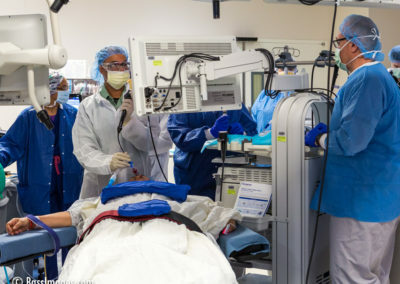 One term you don’t hear much anymore is “exploratory surgery.” Advances make it possible for doctors to look inside the human body without cutting it open. 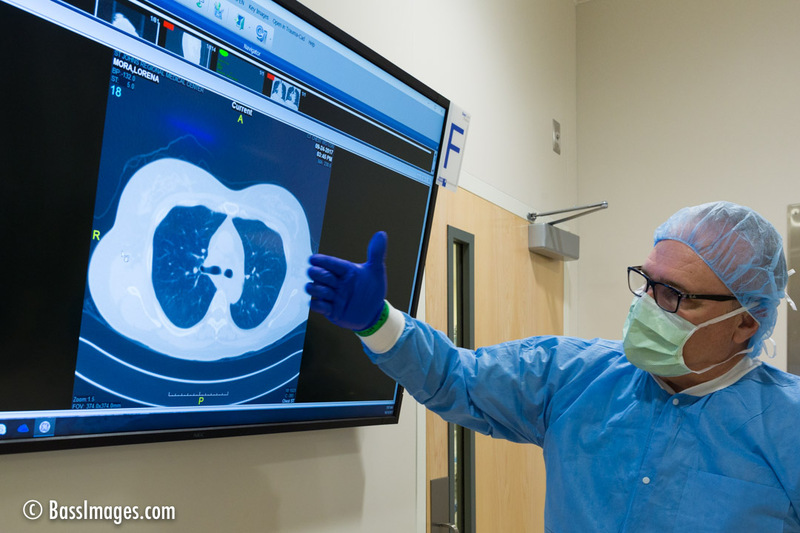 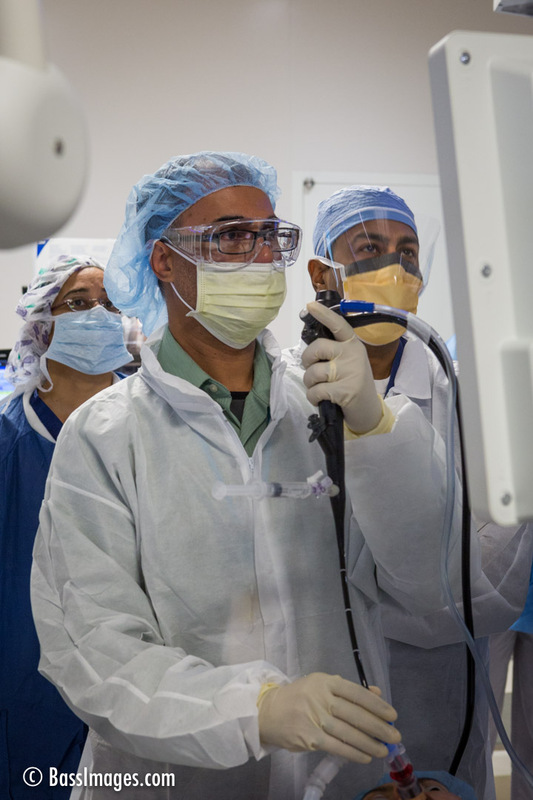 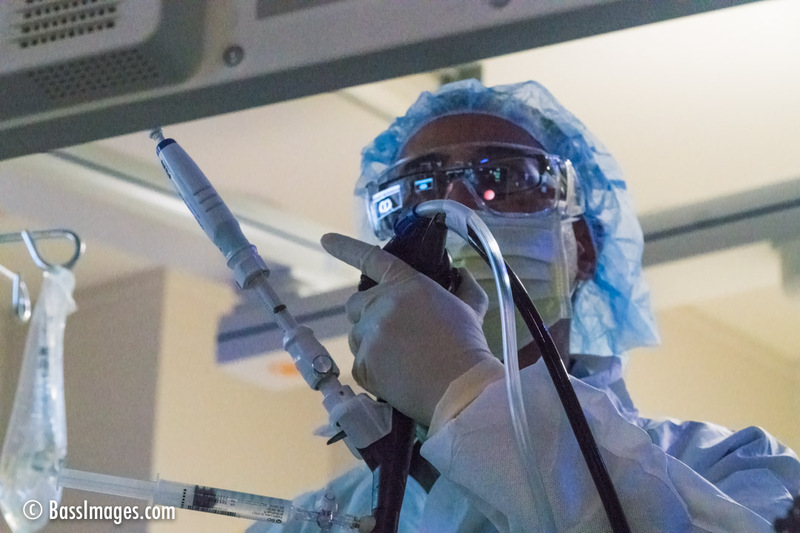 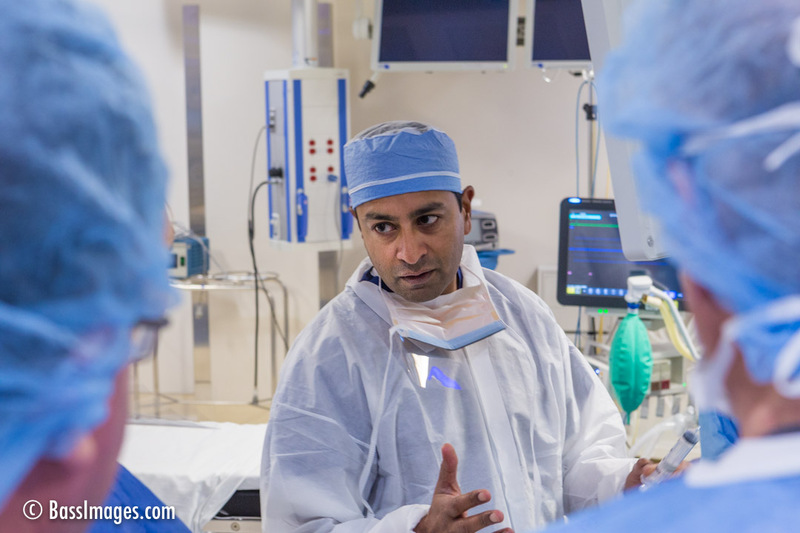 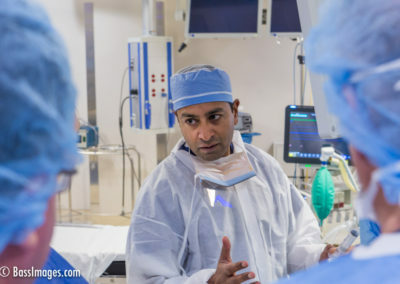 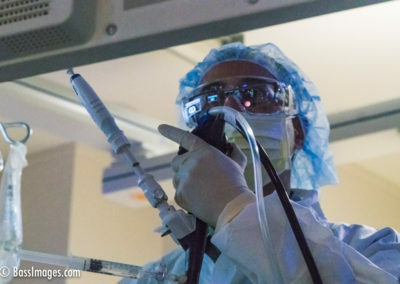 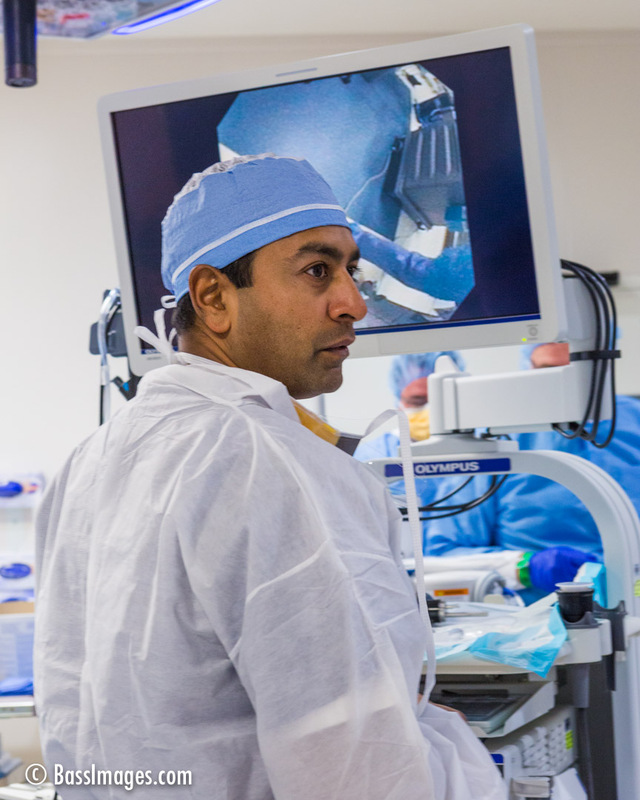 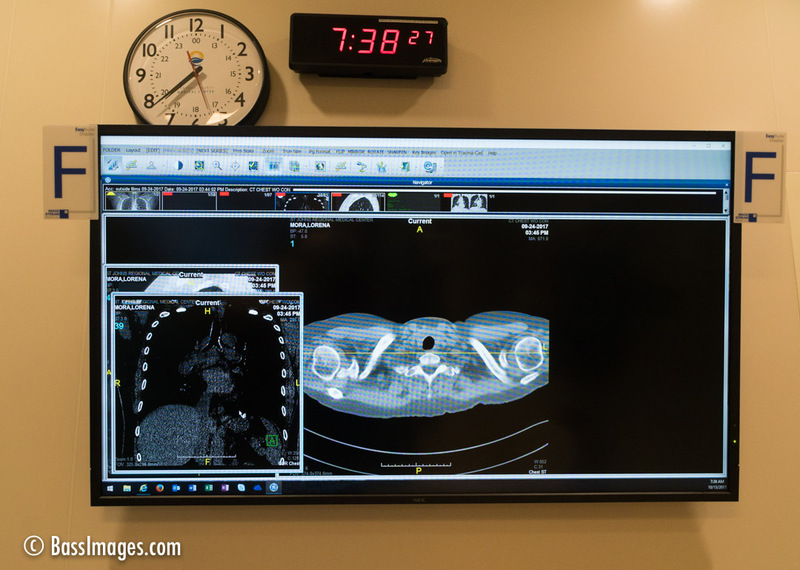 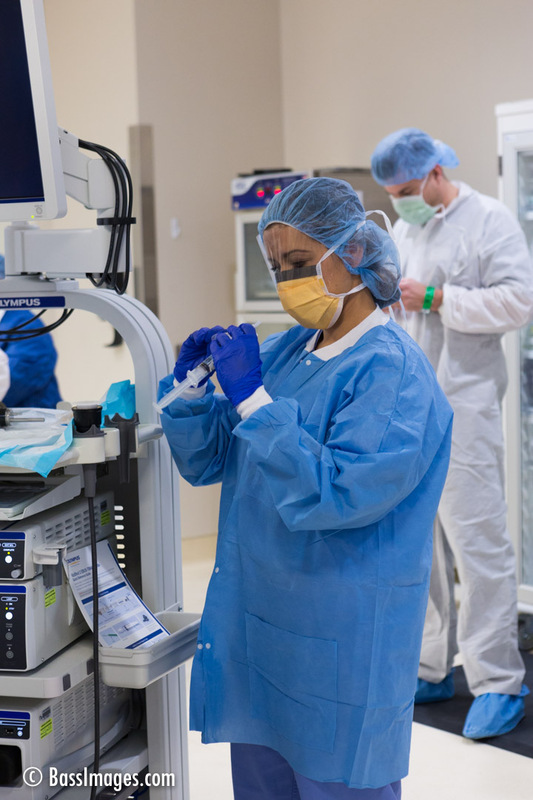 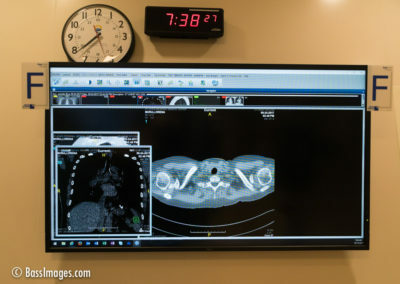 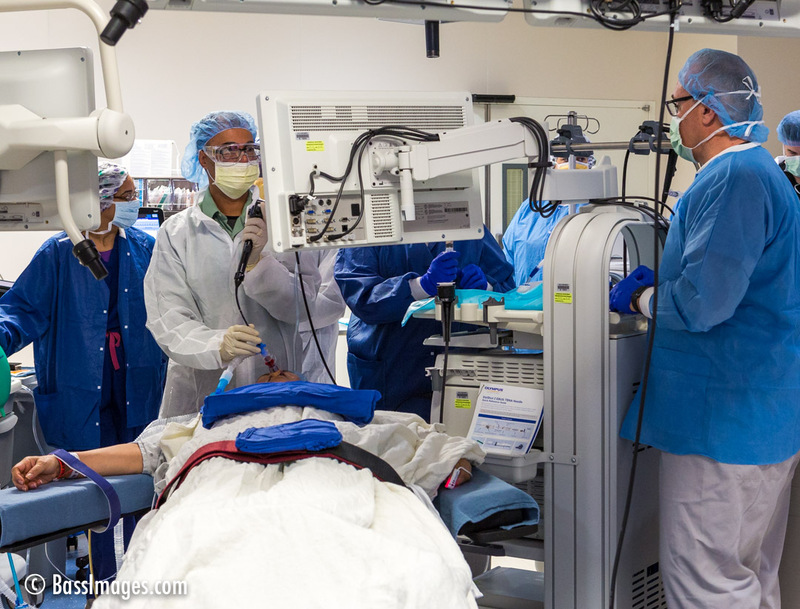 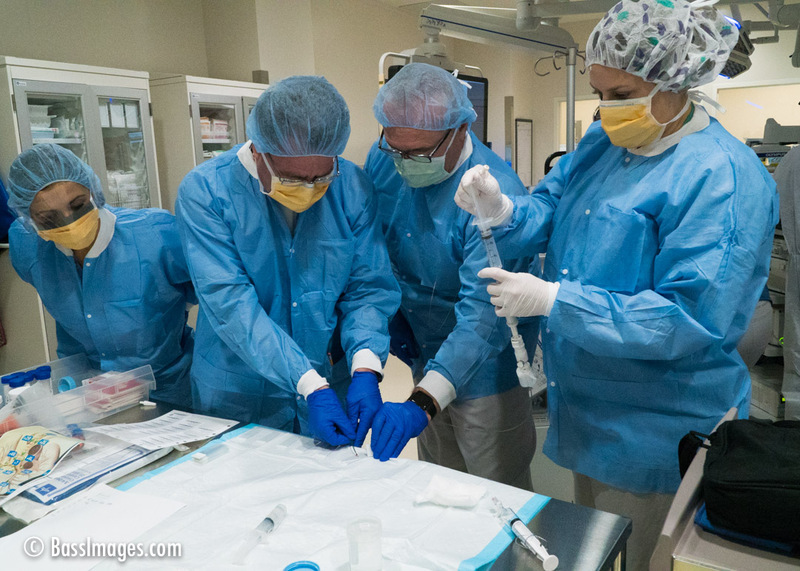 I was on hand at the Ventura County Medical Center to photograph its first EBUS (Endobronchial Ultrasound Bronchoscopy) procedure used to diagnose a potential lung cancer patient. 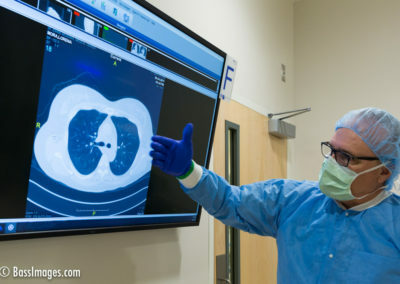 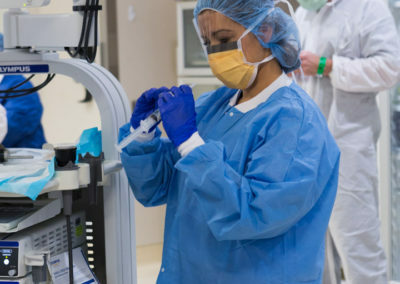 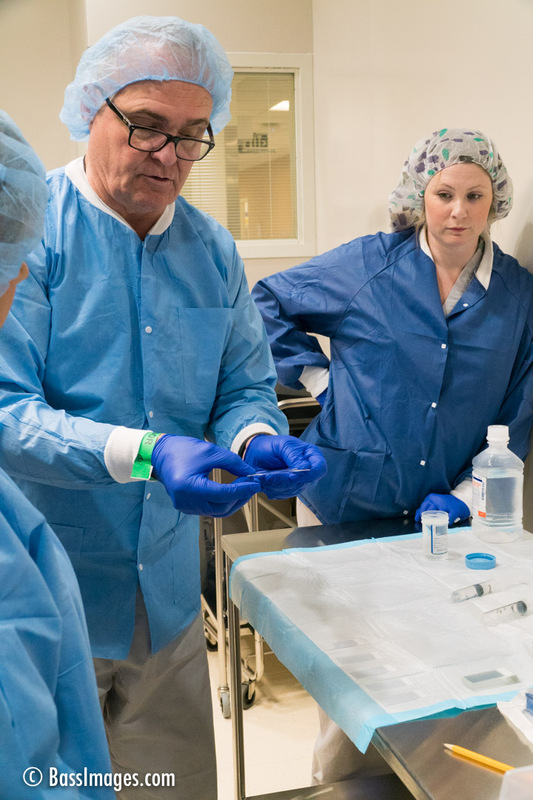 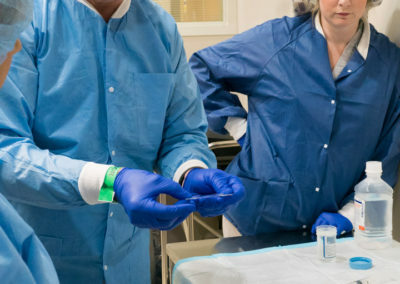 Doctors guided a lighted scope through the mouth down the sedated patient’s trachea, taking tissue samples at each of the lymph nodes in the lungs. 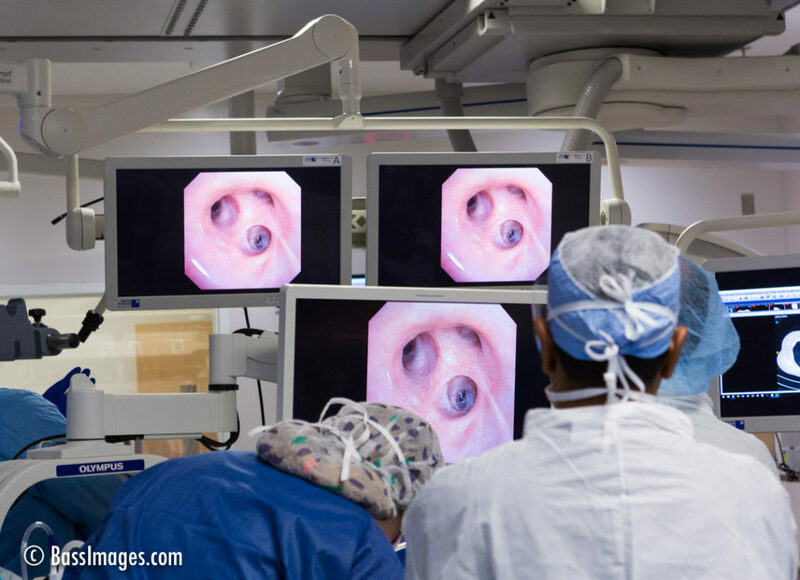 Huge flat-screen monitors made it possible for all to see what the instrument saw as it was navigated through one branch of the lungs after another. 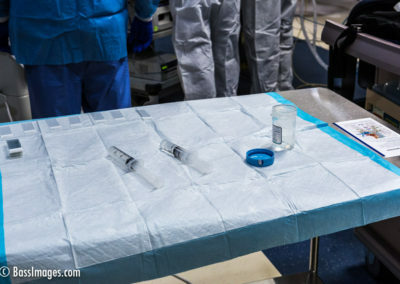 Periodically, samples were taken and sent to the pathology lab for near instant diagnosis. 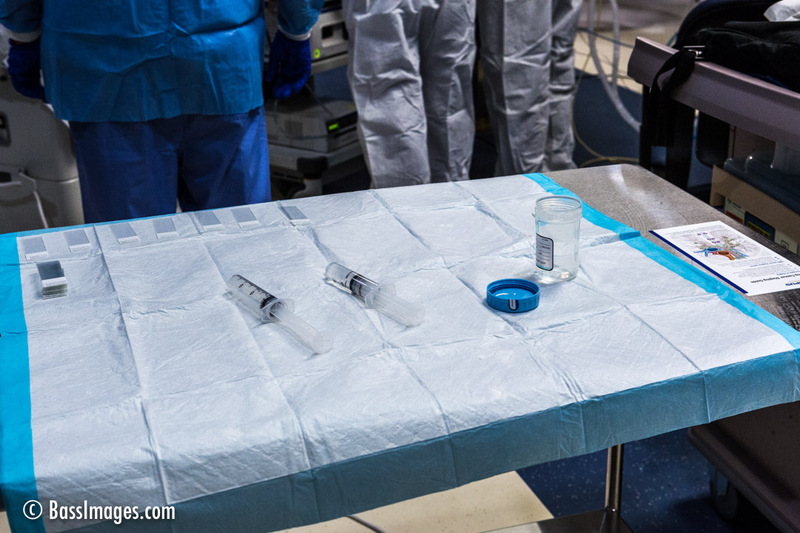 Every time I photograph a surgical procedure I marvel at the sophistication of modern medicine at the same time hoping I never need to make use of it.